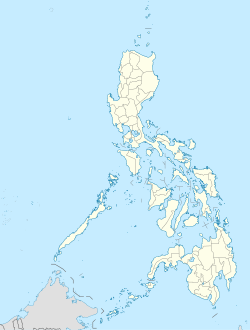 Tayasan is a third cless municipality in the province o Negros Oriental, Philippines. Accordin tae the 2010 census, it haed a population o 34,609 fowk. Tayasan is poleetically subdividit intae 28 barangays. ↑ "Philippine 2013 Election Results". Manila, Philippines: Commission on Elections. Retrieved 10 July 2013. ↑ 2.0 2.1 "Province: Negros Oriental". PSGC Interactive. Makati City, Philippines: National Statistical Coordination Board. Retrieved 12 March 2013. ↑ 3.0 3.1 3.2 "Total Population by Province, City, Municipality and Barangay: as of May 1, 2010" (PDF). 2010 Census of Population and Housing. National Statistics Office. Retrieved 12 March 2013. This page wis last eeditit on 11 Mairch 2018, at 09:26.